Margaret Wise Brown once observed, "To write well for children, one must love the things that children love." And write well for children she did -- with a deep love for and a keen perception of all things great and small in the world around us. Collected here for the first time are twenty-four of Margaret Wise Brown's children's poems, which range in subject from jig-dancing pigs and the wild sound of the wind to the colors of a summer day and the joy of giving oneself to the rain. 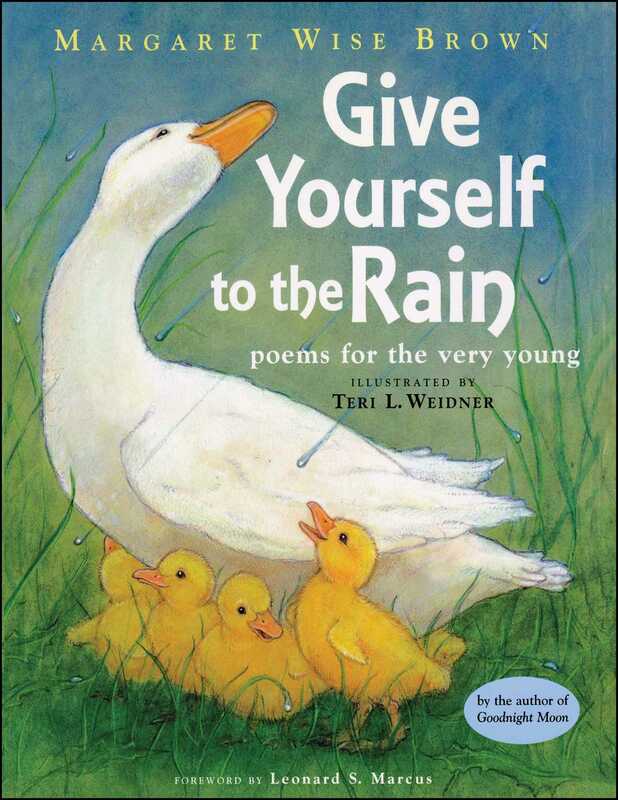 With a foreword by noted children's literature scholar and Brown biographer Leonard S. Marcus, and illustrated with vibrant and sensitive paintings by Teri L. Weidner, Give Yourself to the Rain is a precious gift to be shared among children and adults everywhere.